There has never been an easier time to sell your own home. But that doesn’t mean it’s easy to sell your house without a real estate agent, or that everyone should do it. With agents charging fees and commissions that can add up to thousands homeowners are increasingly choosing to “self-sell” and save the money – going it alone and taking on all aspects of preparing, marketing, and managing the sale of their own property. And with the internet now providing a multitude of resources and services for the private seller it’s tempting to dream of the tens of thousands of dollars you’ll save by doing it yourself. But while there are potential advantages to selling your own home, most of them being savings in commissions, fees, and marketing costs, there are also significant risks. This is why we’d recommend speaking to an agent even if you’re looking at selling your property yourself. Click here to speak to top agents in your area. Many people know the old phrase caveat emptor, or “buyer beware”, but newcomers to selling their own home might do well to heed its little-known cousin – caveat venditor – “vendor beware”. When deciding between self-selling, or the safer and more traditional route of hiring an agent you should consider all the pros and cons outlined in this article before determining you’re up for the task. When people talk about the benefits of selling privately they are talking about costs. By acting as your own agent you cut out fees and commissions that would otherwise subtract from your profit. Given that the average commission for an agent is in the range of 2.4 per cent this means that, depending on the sale price of your home, you could save anything from $18,000 – $20,000. If you manage to do things right you can also reduce your marketing, cleaning, and repair costs. But that is a big “if” and you can end up paying more than you would have through an agent if you’re not careful. But there is good news for the aspiring self-seller with the internet enabling the creation of an industry consisting of specialised businesses and services with dozens of websites now providing assistance in selling your home privately with comparatively modest fees compared to what a real estate agent would charge in commissions. The most significant, and common, disadvantage in selling your own home is getting a lower sales price than an agent would. Agents sell homes full-time and are experts in presenting your home, finding the right buyer, and getting a top price from them. While it might feel like saving tens of thousands on commissions will outweigh any loss experts warn private sellers can often end up losing money overall rather than making it. And that’s not the only downside. Agents have a network of reliable, and affordable, professionals who they work with on a regular basis to take care of things such as cleaning, repairs, and marketing. Due to the steady work that these businesses get from agents they are also highly motivated to deliver the best service possible. Chances are a private individual lacks these networks and a few bad decisions could see you paying more rather than less on these services, or worse – you get inferior service which means you get a lower price for your home. On top of this being your own agent takes time – a lot of time. There is a reason that being a real estate agent is a full-time job and many people do not have the space in their schedule or the energy needed to act as their own property agent. A final, but significant, concern is that of risk. Providing expert advice and a safety net for risk is arguably one of the most valuable things an agent can do for a seller. In the unlikely event something does go wrong the agent will take on some of the liability and responsibility for righting the situation, which can save you a lot of time and money. If you want to sell your own home and save on commission fees you should know exactly what it is that you’re getting for your money. Real estate agents work hard for their commissions and there are a few main areas that their labours fall into. Each of these areas contains numerous tasks that must be completed before contracts are exchanged such as: having your property valued, deciding the purchase price, and cosmetic preparation and maintenance ahead of staging inspections from potential buyers. The good news is that, like any other activity in the digital age, the way homes are sold is evolving with businesses existing to service the needs of a private seller. Online you can find everything from sales advisors to home handymen or complete one stop shops like Agent In A Box – an online agency helping homeowners sell without a real estate agent. Regardless of your intelligence or ability you might not be the right person, or in the right position, to sell your own home. If you’re serious about attempting to act as your own agent there are a few things you should consider before you begin. Will the market help or hinder you? The first thing you should consider is how “hot” the market in your area is. Agents live the trends and factors influencing the property market every day – self-sellers need to research them. If there is a high turnover of property in your area and a surplus of purchasers simple supply and demand means it will be much easier for you to find the right buyer, for the right price. Conversely if you notice there have been multiple properties for sale in your area for long periods of time it might be worth engaging an agent to help you stand out. Do you have the time and temperament for the task? Selling your own home is like taking on a full-time second job. Not only is there a lot of work to be done, you stand a much better chance of getting a good result if you take a professional approach. This means everything from the way your signs are designed and displayed to the tone of voice you answer the phone when called by prospective customers – no matter how tired you are or how busy with other things. If you’re selling your home privately that means you’re the agent – you will need to demand the same standards of salesmanship and customer care from yourself that you would from someone you were paying a commission. You should also ask yourself, and quite possibly some of your friends and family, if you’re the right person to sell your home. Acting as a self-seller will require you to be organised, confident, property savvy and have good negotiation skills. This isn’t something everyone can do well. Do you have clear goals and an exit plan? Selling your property is no different to anything else – you need a clear plan and steps to accomplish that plan which means being clear at the outset on timeframes. Specifically it’s a good idea to set a deadline for when you intend to have your property sold by, and a fallback in case you fail to do so. Prior research on trends in the property market will help with this. If property turnover in your area is high but you can’t seem to find a buyer you need to examine your plan and consider getting in an expert. A tactic often employed by self-sellers is establishing a relationship with local agents by getting them to do a market appraisal of their property. Not only does this give them access to insights but it also creates a backup relationship if they do end up needing help selling their home after all. Proper preparation before a home is seen by buyers is essential in getting the top price possible. 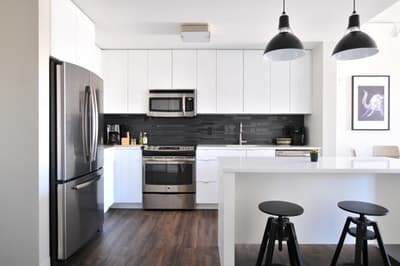 This includes everything from cosmetic upkeep and tidy-up, to minor, and sometimes not-so-minor, repairs such as cracked or pitted walls, spot painting over discolourations, or even adding a fresh coat of paint to whole rooms. There is also extensive cleaning required in order to get a home “inspection ready” and can increase what someone is willing to pay for your property. While a steam clean could cost as much as $100 – $150 there is no telling the difference it will make to the price a prospective buyer eventually accepts. It could be worth hundreds, or even thousands more. When preparing a home for inspection every single surface must be cleaned thoroughly, including exterior surfaces such as windows, gutters, and pipes – remember that a buyer is looking through a property and will use any excuse to try to drive down the sales price and get themselves a better deal. Agents are experts in home staging – they know exactly what someone will be looking for, and how to prepare for it and will take care of all this for their clients but self-sellers will have to either undertake these jobs themselves, employ specialised cleaners, or find another alternative such as a jobs service such as Airtasker. While a fairly literate private seller will be able to take care of minor repairs themselves or can engage the services of tradesmen or specialised handyman services such as Hire A Hubby this is where an established agent has an edge. An agent will have a range of trusted tradesmen that they use regularly which makes it a lot cheaper and easier for them to get these job done. However, tradesmen will sometimes advertise on their website that they have experience in preparing homes for sale and there are a number of specialised services emerging that can be found online who will take your home and get it “show ready”. A private seller can also ask a tradesman if they have experience preparing homes for sale and, failing that, if they know someone who does. Another thing to remember is that a real estate agent may not have to pay for repairs and maintenance up front – while a private seller likely will. This requires extra budgeting for these costs. Self-sellers who are trying to prepare a home on a tight budget can focus on a few key areas which will help to make a good impression and enhance the perceived value of the property. While these measures can be done for as little as $5000 experts say this can add as much as $50,000 to the value of the home. This is an essential step and can be a difficult process if you do not have a strong knowledge of your local real estate market. The risk is that putting too high a price tag on a property will discourage potential buyers, while too low a price means less profit. Everyone knows a story about an anecdotal someone in their area who just sold their home for a bundle but paying too much attention to these stories could see a seller basing their sale price on emotion. 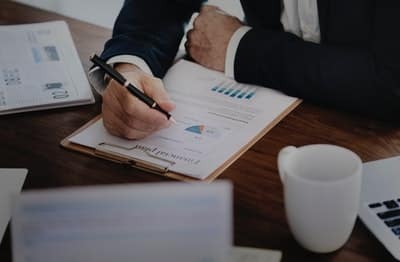 The best valuation will be based on research of properties sold in the area, especially those with similar characteristics to the property being sold. Agents do this every day but the best way for a self-seller to be sure they are asking a realistic price is to get their home independently valued by a professional. This is another area where a seller can save, or spend, significant money so it pays to be careful when planning the marketing of a property. Marketing fees can add up quite quickly, particularly given most private sellers lack the networks professional real estate agents have. A real estate will know exactly which forms of advertising are likely to generate a high return for the amount of money spent and which are not but, as with other forms of preparation, there are many specialised services to assist a seller who decides to go it alone. The key to successfully marketing a property is a clear and professional listing that emphasises the unique strengths of each property. There are specialist companies that provide services to help with every aspect of marketing including the supply of photographs, signs, and templates but a self-seller should add contingency money to their budget for extraneous, and unexpected, costs. Here are some key facts that must be considered when marketing a property. Most buyers will be looking online: It is essential to make sure online listings reach as many people as possible and are clear, eye catching, and contains all relevant details. While most buyers are online this is also where most of the competition is as well. Signs are useful: For sale signs are still great at grabbing attention, particularly if the property is in an area with a number of other houses for sale. There is a potential for attracting open house traffic from people who didn’t even know if was listed. Private buyers are becoming more common: The internet has changed the way the property market works. In much the same way sellers are increasingly considering acting without an agent, so too are buyers. Before listing a property online a seller needs to get all the necessary shots. These are key to grabbing the attention of prospective buyers so it pays to employ a professional photographer. Similarly it makes sense to get a graphic designer, or at least someone with graphic design experience, to work on the advertising copy and signboard before getting the signs printed, and property listed. It’s worth considering if you want to solely list your property online or if you want print newspaper exposure as well. A lot of sellers these days are opting for online advertising only and this is where most serious buyers tend to be looking. This can save you a couple of hundred dollars a week, which adds up quickly if your home takes a while to sell. It is worth the money to get one of the agencies who assist private sellers list their properties to help you list your site. They can help you make sure you are covered in the right places for your customers and more importantly – they can list your property places where a private seller cannot. When you do find a business to help you list your property ask if they have licensed real estate agents on staff and are able to list your property on the top real estate listings websites, such as realestate.com.au. A number of these websites will only allow (or provide discounts to) licensed real estate agents to post properties and not posting your home on these sites will mean you miss out on being seen by a huge number of buyers. Scheduling open houses and inspections takes up a lot of and you have to be prepared to deal with a high volume of enquiries. There is no way of knowing which buyers are serious about your property and which are not and handling all the phone calls, emails, and inspections can quickly become a significant burden. When conducting an open house a professional real estate agent will know which features of the property will help close a sale or generate interest while an owner can have difficulty in separating themselves from their emotional connection to their home. These factors can mean an opportunity to close a sale is missed, or that key points which could have closed the sale for a higher amount are not pointed out. It is possible your house could sell for more at an auction but organising this also takes time and money. This is another area where an agent will be aware of the history of auctions and sales in your suburb which will be invaluable in determining if you want to stage your own. If you do decide you want to have an auction you will need to hire an auctioneer. Some real estate agents are property auctioneers and it is possible to hire them for just one day. You’ll need to check with the individual agent for their prices and availability. Getting all the legal paperwork in order for the sale of a property can be a daunting task for the first-time private seller, particularly if they are uncomfortable with contracts and complicated legal language. You’re going to need a solicitor or a conveyancer who know what is required by each state to complete a sale and can prepare and file things like the contract of sale, a Vendor’s Statement (or Section 32), and relevant disclosures – all of which are required by law. A licensed conveyancer or solicitor will also hold professional indemnity insurance and will be bound by a professional code of conduct – which protects the seller from a range of difficulties should something go wrong. In addition to drafting the purchase and sale agreement a solicitor will also assist with a range of miscellaneous duties which help your sale to proceed as smoothly as possible. Even if you are selling privately you will need to make getting professional legal help one of the first things that you do. This will give you a lot of piece of mind throughout the process and prevent any legal issues. Depending on which state you live in the rules can differ. For example in NSW this sort of work was undertaken by solicitors until a 1992 change in legislation enabled licensed conveyancers to be used – this has reduced costs for a seller significantly. Each state government’s fair trading authority provides free advice to home sellers and buyers, or links to this information. You can find this information at the following links; New South Wales, Queensland, Victoria, South Australia, Tasmania, Australian Capital Territory, Western Australia, Northern Territory. While selling your own home privately is now easier than it has ever been it is still by no means easy. 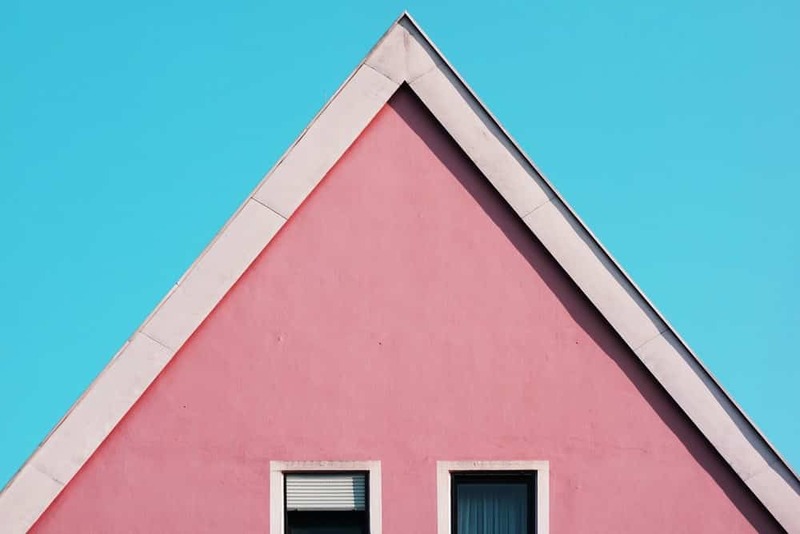 We understand that it’s natural for a homeowner to want to hold onto as much of the hard-earned equity they have built up by acting as their own agent and avoiding commission but there are a myriad of ways this can backfire. In the end, it can be more expensive to sell by yourself and it can take longer than it would have with an agent. The reality is that selling a house is a complicated, and time consuming, process requiring specialised skills, expertise, and networks not available to the average seller. There’s a reason why only about 1% of Australians end up opting to sell their homes without using a real estate agent. If you’re thinking of selling your own home privately, we would still recommend speaking to a real estate agent. As we discussed above, it might end up being cheaper in the long run, especially in terms of the time you have to invest to make a good job of selling your own home. They’ll be able to show you what they know about your area and how they would look at selling your property there. Click here to compare the top-performing agents in your area, who will be able to explain what they can do to help you achieve your sale price goals.